All purchases are final. There is no exchange or refund. If you are not sure about any of the products, please do not buy them. If you have any question, please email me prior to your purchase. Due to lost small packages with oversea shipping, I no longer ship to oversea countries when the package weight less than 4oz. 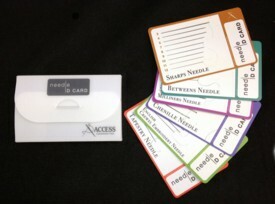 I offer a variety of needles and bulk needles. I carry John James, Bohin, Piecemaker, and Mary Arden. 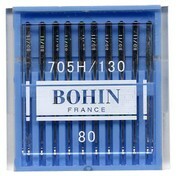 French Bohin needles are the best needles in the market. If you have not tried them, you should. 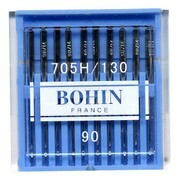 Bohin has exceptional products. They are highly recommended by designers and instructors. Exceptional polish for smooth glide through fabric. Fine point to minimize holes. Eye polished with a unique process to minimize breaking thread. Maximum strength, minimum bending. 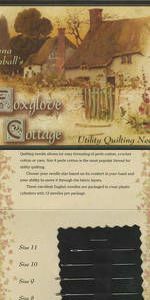 Sampler that contains one each of all four Utility Quilting Needles (Sizes 11, 10, 9 & 8). 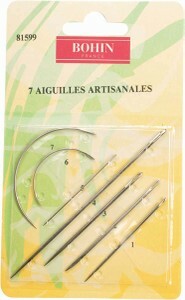 Gold Utility Quilting Needles (Sizes 11, 10, 9 & 8). Threads sewing machine needles easily without removing needle from machine. Threads needles from sizes 1 to 11.Hand and Machine threader. 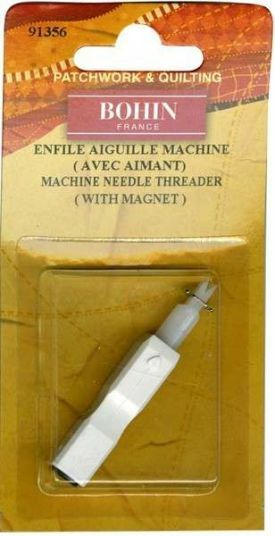 For threading needlepoint and tapestry yarn needles quickly and easily. Great to attach at the end of a beaded scissor fob like the picture shown above. One is for small eyes, the other one for larger eyes. The small eyes can be used to thread bead needles. It is great for traveling and on the airplane. It is as effective as a scissors. 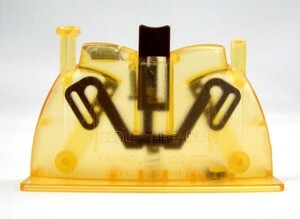 This threader boasts the finest metal wand on the market, enabling it to easily thread those tiny sized 12 needles. The metal wand is fine but strong, and is heat set, as well as, crimped into its credit card think holder for longer life. 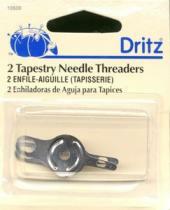 The curve of these tapestry needles helps you get to those hard to reach areas.2 tight curve, 2 loose curve. 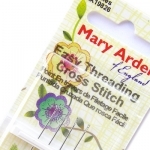 Reach those hard to get to edges with these curved beading needles.2 tight and 2 loose. 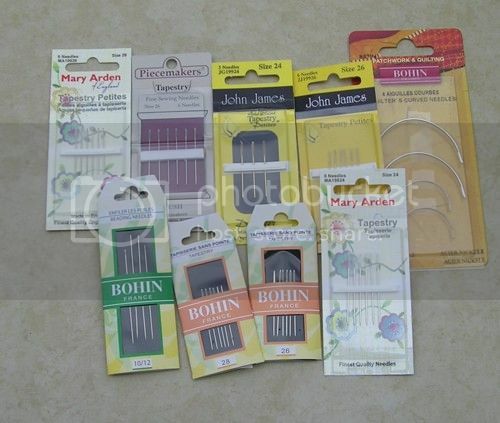 John James curved tapesty needles in 3 different sizes for finishing, sizes are 20, 22, 24. 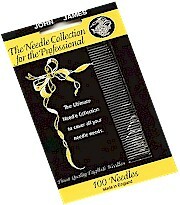 John James Tapestry Needle size 26. There are 6 needles in the package. John James Tapestry Needle size 28. There are 5 needles in the package. John James Tapestry Petites Size 26. There are 6 needles in the package. John James Tapestry Petites size 28. There are 5 needles in a package. 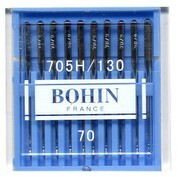 Clean eyes, sharp, easy to thread, sturdy and strong. These needles have endless uses - basting quilts and other extensive basting jobs, putting eyes on small dolls, beading (the shorted needle works), Brazilian embroidery and embroidary. 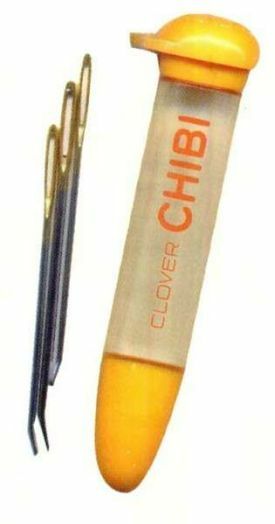 Clean eyes, sharp, easy to thread, sturdy and strong. 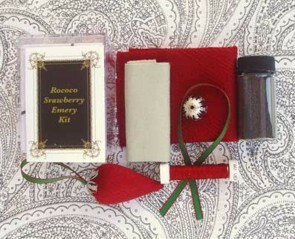 For stringing jewelry beads, stringing and sewing beads on fabric. 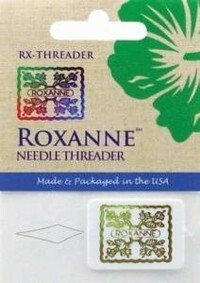 Set of 3 thread needles - Includes: size 7 fine, size 5-0 and size 3-0. Plus a free size 8 extra fine needle. 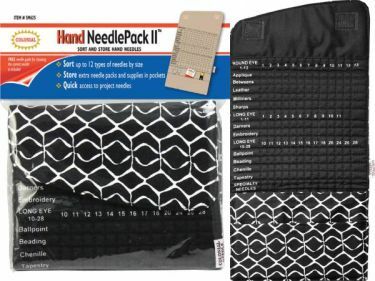 Sort 'N Store is the ultimate solution for keeping your favorite hand sewing needles organized. Six separate sections sort your various needles according to usage. It is a pincushion bracelet that you wear on your wrist. The pincushion is 4 inches in Diameter. Magnetic. Pins are not included. The band and bottom is plastic. The material for the pincushion is NOT the same as item 75599.